のに noni is used when what is stated in the second sentence runs against to what is expected from the first sentence. The second sentence carries the implication of unexpectedness or dissatisfaction and it's often used for complaint. 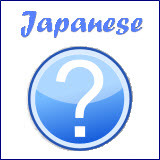 Let's check out the sentence patterns of this grammar のに (noni). 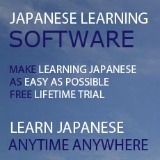 Just like ので (node), のに (noni) follows verbs, adjectives or nouns. Note: Non-factual sentence like an intention, an order, a request, a permission or a suggestion cannot be used in the second sentence. Meaning: She did not come, even though she promised. Meaning: Even though today is holiday, I have to work. In example 1, the speaker expects that the woman will come because she promised to do so. So he naturally feels disappointed that she did not come. In example 2, Holiday is normally a rest day, yet the speaker has to work so he feels dissatisfied. The second sentence implies feelings of unexpectedness or dissatisfaction. ので (node) indicates the cause or reason of certain event while のに (noni) shows the contrary result. Let's use some examples to show how the result changed using either ので (node) or のに (noni). Meaning: It is hot today, therefore I am wearing a T-Shirt. Meaning: Even though it is hot today, I am wearing a sweater. Meaning: Yesterday was my rest day, therefore I slept the whole day. Meaning: Even though yesterday was my rest day, I went to work. Meaning: There is a test on next week, therefore my younger brother is studying very hard. Meaning: Even though there is a test on next week, my younger brother is playing. Meaning: I lost weight since I went through a diet. Meaning: Even though I went through a diet, I put on weight. Meaning: I have studied Japanese for ten years, therefore I am good at Japanese. Meaning: Even though I have studied Japanese for ten years, I am still bad at Japanese. In example 1, normally when it's hot, you'll wear something thin like a T-shirt. But for のに's case, you wear something thick like a sweater, showing unexpected contrary result. In example 2, you rest because it's your rest day. But for のに's case, you went to work instead, showing your unsatisfied feeling. The rest of the examples also show the unexpected or dissatisfied contrary results in のに's cases. When translating のに (noni) into English, you can simply use the word "but". There are some other terms which also carry the meaning of "but", like for example, が (ga) and ても (temo). However, they are being used in different situations. Let's use some examples to show the difference between ～のに and ～が/～ても. Meaning: My room is small but clean. Meaning: Even if it rains tomorrow, I will go out. が (ga) in example 1 above cannot be substituted with のに (noni) - "狭いのに". This is because が (ga) simply joins two different evaluations together and the second sentence therein does not represent an unexpected consequence of what is stated in the first sentence. Similary, ても (temo) in example 2 cannot be replaced by のに (noni) - "雨が降るのに", the first sentence suggests a possibility, but のに (noni) can only indicate things that have actually occurred in reality (fact). Meaning: You promised to come. Why didn't you come? In the above example, のに (noni) cannot be substituted with が (ga) or ても (temo) - "約束をしましたが" / "約束をしても". This is because the second sentence expresses a strong reproach (dissatisfaction). 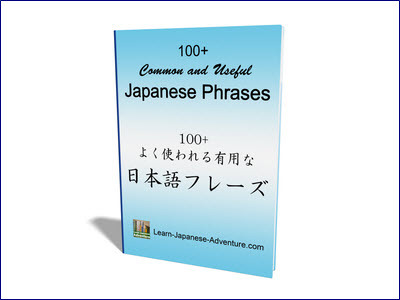 Let's practise on connecting the following sentences using either が (ga), ても (temo) or のに (noni). Some of the examples might be able to use more than one of them to connect the two sentences. Have you figured out which one (or more) to use to connect the sentences? Below are my answers and the explanation on why which one was used (or not used). Meaning: This room is spacious but dark. In example 1, we are using が (ga) to join two different evaluations together. There's no relationship between the two. Only that one is positive meaning (広い) and the other is negative meaning (暗い). 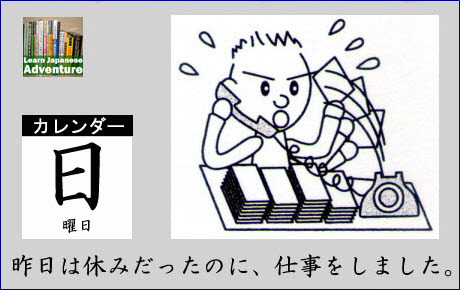 You cannot connect them using ても (temo) or のに (noni) because the second sentence does not contain contrary result of what is expected. Meaning: Even if it rains tomorrow, I will play soccer. In example 2, it's not a fact but only a possibility which may happen tomorrow. Therefore only ても (temo) can be used in this case. Meaning: My elder sister eats a lot, but she doesn't get fat. Meaning: Even if my elder sister eats a lot, she doesn't get fat. Meaning: Even though my elder sister eats a lot, she doesn't get fat. が (ga), ても (temo) and のに (noni) can all be used in example 3. However, there are slight differences in terms of the meaning of each sentence, especially the feeling of the speaker. When using が (ga), you are just describing the fact about your elder sister that she eats a lot but never get fat. There's no personal feeling when you say that. When ても (temo) is used, you are saying that your elder doesn't usually eat a lot but even if she eats a lot, she won't get fat. You are talking about the possibility. If のに (noni) is used instead, you are saying that even though your elder sister eats a lot, she never get fat (with some dissatisfied feeling). Probably you are jealous with your elder sister since you gain weight easily even if you eat a little. You are feeling some unfairness. Meaning: It was noisy yesterday, but I could sleep well. Meaning: Even though it was noisy yesterday, I could sleep well. Example 4 is a past event on yesterday. Therefore ても (temo) sentence (possibility) cannot be used. For the sentence using が (ga), you are just describing the fact that you could sleep well although it was noisy yesterday. There is no personal feeling. For sentence using のに (noni), there is a surprising feeling. You are amazed that you are not sensitive to the noise and could sleep well yesterday. Meaning: Even if we don't have money next year, let's go to Japan. The event for example 5 may happen in next year which mean it's only a possibility. Therefore only ても (temo) sentence can be used. Meaning: Excuse me, where is the toilet? In example 6, the が (ga) here is introduction no が (ga), which works as an introduction before you bring out the actual thing you want to say. ても (temo) and のに (noni) cannot be used here. Lesson 14: Introduction no が (ga). Lesson 20: Japanese Grammar for Cause and Reason ので (node) Sentence. Lesson 25: ても (temo) Sentence.